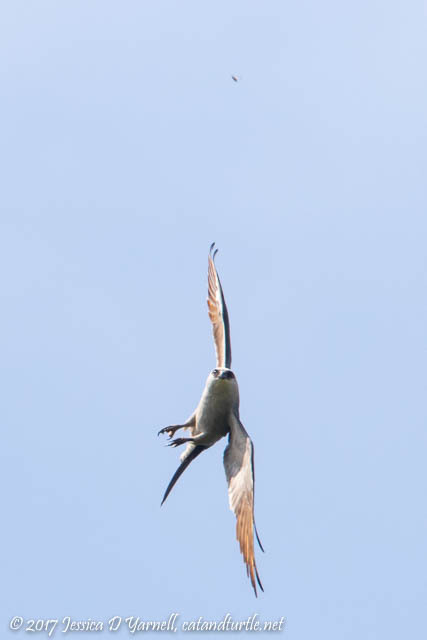 In my last post I wrote about the Swallow-tailed Kites and their pre-migratory gathering over insect-covered fields. 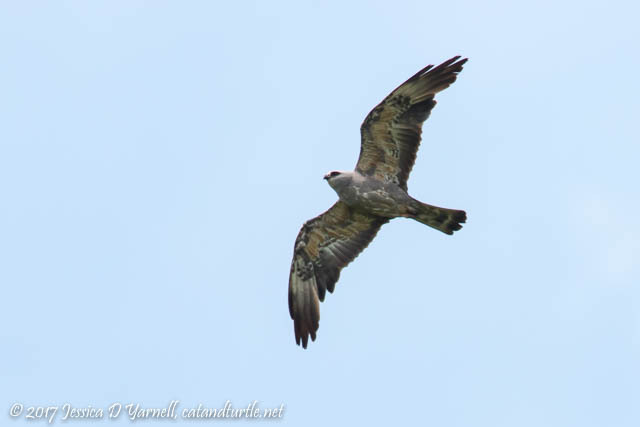 These beautiful black-and-white raptors have a cousin, the Mississippi Kite, who is pretty rare in Florida but can be found…you guessed it…at the Lake Apopka Wildlife Drive. 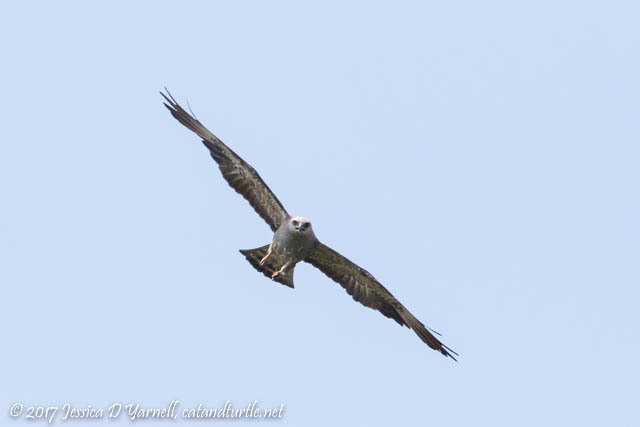 The photo below is a juvenile Mississippi Kite. 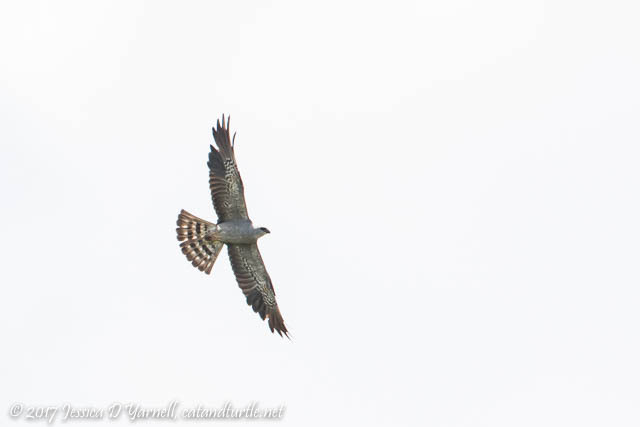 Note his streaked undersides. 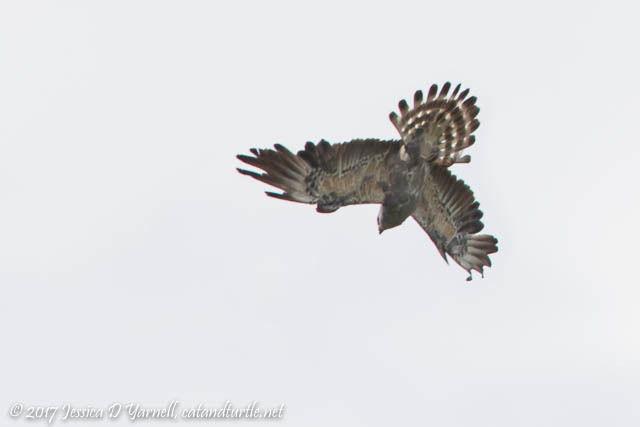 He’s easy to confuse with a hawk at a distance due to the streaking in his tail. 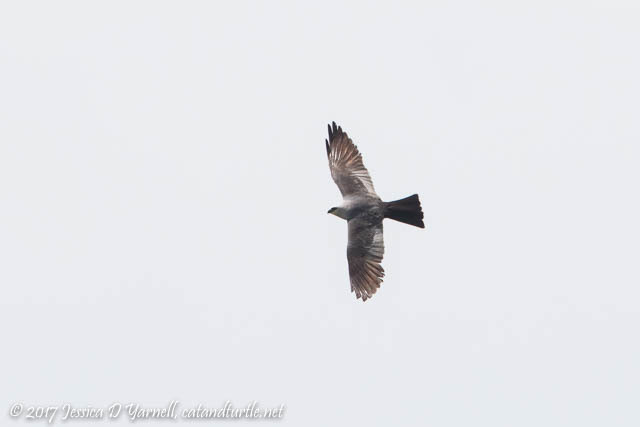 The Mississippi Kites, like their swallow-tailed comrades, also eat on the wing. 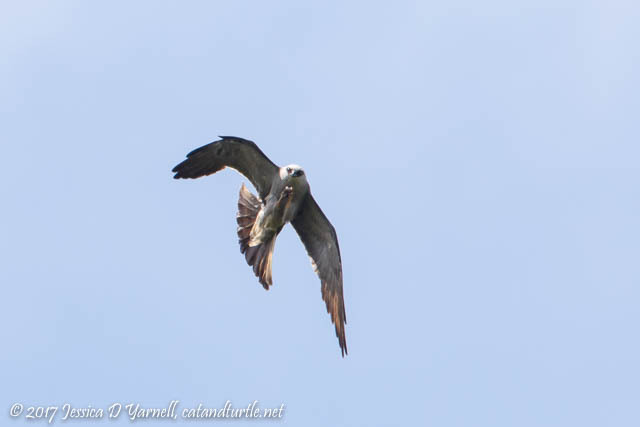 Here a kite spots an insect, grabs it in his talons, and then eats it on the wing. The next time you’re on an airplane and they offer you an in-flight meal, think about how convenient it is not to have to catch it with your feet! Sometimes a bird would drop his bug. 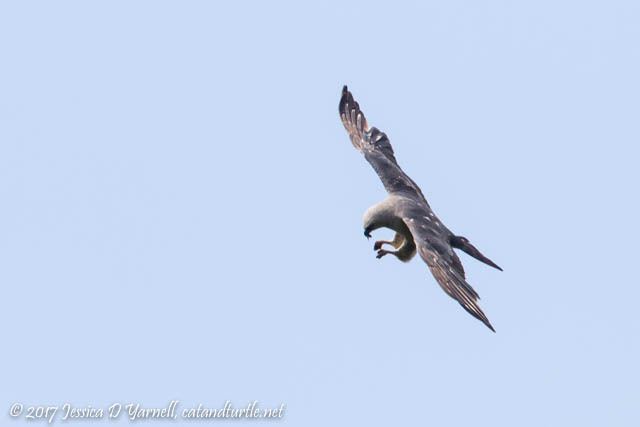 Then he would dive for it, spreading his wings and his tail as he quickly maneuvered through the skies. It was pretty cool!